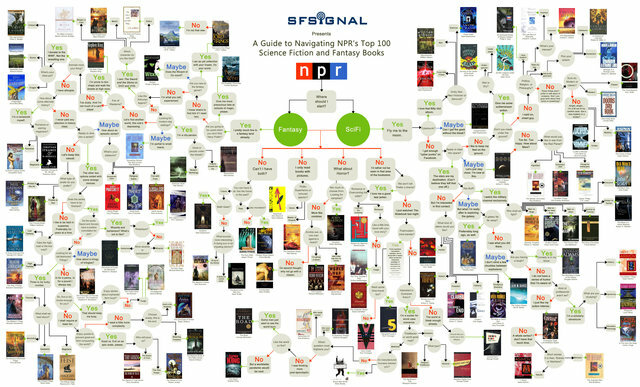 Were you a little intimidated by NPR's list of top 100 science fiction and fantasy books? Wanted to dive right in, but didn't know where to start? Well, the folks at SF Signal have developed a very useful tool to help you decide: "This flowchart is designed to help you follow your tastes, provide context, and fulfill (indeed exceed!) any need for pithy commentary you might harbor." You can utilize an interactive version of the chart here.